While some of us would prefer to bury our four legged friend in our backyard, or at least have a proper send off at a pet sematary, but there are others out there who have a more practical outlook of things – and prefer to take the cremation route. 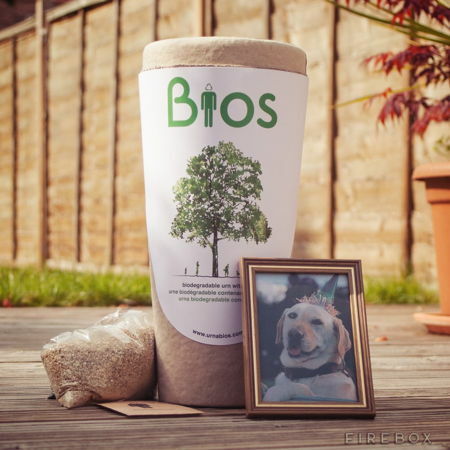 Of course, choosing an urn afterwards to store the ashes can be quite a personal affair, but if you have a heart for nature, how about settling for the £64.99 Biodegradable Pet Urn Tree? This just goes to show that there indeed is life after death, where the pot itself is fully biodegradable that allows your pet to reduce its carbon paw print even in death. The container itself has been specifically designed to facilitate successful seed germination, while the cremated remains actually help the tree’s growth as they’re are great sources of phosphorus that functions as a fertilizer.